You know you have a pretty good boss when she lets you make an off-the-route stop for a much needed good cup of coffee. On the way home from some business in New England, we had about 5 hours ahead of us and I was hurting for a decent cup of coffee to fuel the remaining drive. Fortunately, my fellow travelers (boss included), allowed me to make a bee line for Brookline to make a drop into Cafe Fixe. Cafe Fixe hangs out on Beacon St in a beautiful tan brick building with a pair of matching tables guarding the front door. The interior folds out into a cozy shop with lots of light woods, a back counter and a fair amount of seating. Fixe purveys Stumptown, a new sight for the Boston area these days. I ordered the Honduras, a nice light, floral coffee with subtle berries, pomegranate and cocoa; a really great cup of drip all in all. The espresso, a coffee called Bar Gold (never heard of it nor can I find it online), was pulled splendidly, had a nice crema and possessed flavors of chocolate, bell pepper and a tinge of bitterness on the end. The tea is free leaf. This lovely stop at Fixe truly made out to be the stop I needed. If you're in or around Boston, drop by Cafe Fixe. HA! I figured out why I had never heard of Bar Gold coffee before; it's simply because I foolishly decided to use short hand instead of writing out the word Barrington. Thus, to correct my above ridiculous error, they served Barrington Gold as their espresso blend (a delicious coffee from Barrington Coffee Roasters) upon my visit. 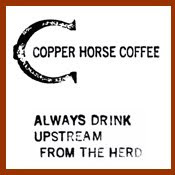 Also, note that the coffee may not always be Stumptown, as several people have commented below that Barrington Coffee Roasters are a frequent flier and have other roasters as guests on occasion. "A morning without coffee is like sleep." Huh. 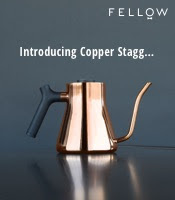 They've switched to Stumptown, eh? I never did get my write-up of them. When I was there over the summer, they were doing a combo of Barrington with a guest - Novo. The coffee was still fantastic. Great blog! I stumbled on it when I was looking for some info on Kind Coffee Co in Syracuse, my hometown. I'm in the Boston area now and will have to give Cafe Fixe a try next time I'm in Brookline. Great review about Simon's in Cambridge (back in June '09), which is in my neighborhood. I'd be curious to know what you think about a couple of other Cambridge coffee shops: 1369 in Central Square and Inman Square and Darwins with two locations near Harvard. Also, if you get up to Northern New England you might want to give Dirt Cowboy Cafe in Hanover, NH a try. Fixe serves Barrington coffees as the foundation of their menu, with a revolving menu of guest coffees. the espresso blend is called barrington gold. just thought I would share. 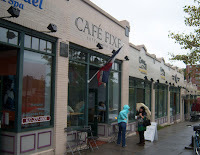 I've been to Cafe Fixe a couple of times and it was incredible both times.Had a cafe americano done very well and on this past weekend a pour over coffee that was very nice.